Tahja's show business career started early. She declared to her 2nd grade teacher that she wanted to be an international entertainer. By the age of fifteen Tahja was already gaining wide popularity as a unique and extremely entertaining Middle Eastern dancer. She was known for her mesmerizing dance of the veils, balancing swords, perfectly synchronized staccato accents of the hips with her finger symbols, her gracefulness and enthusiastic delivery. 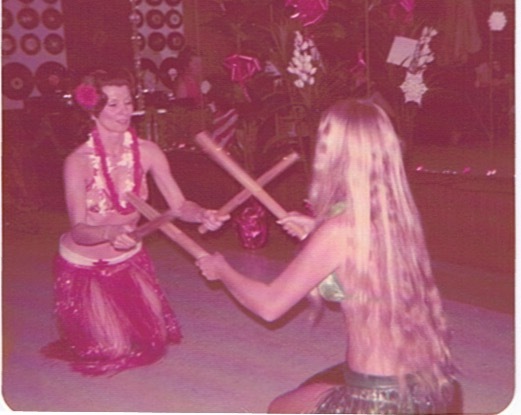 But her talents were not only with "belly dance". She was also in high demand for Polynesian shows and her mastery of rhythmic complexity in Spanish Flamenco. By the age of 20 Tahja's unquenchable curiosity for the world’s cultural richness and passion for performance expanded into even more styles of performance. She became a French chanteuse, a German Oktoberfest entertainer, and an Italian singer. Tahja at 15 years old. Today, Tahja owns a unique entertainment production company, International Productions by Tahja, dedicated to the art of entertainment of cultural dance and music performances. She collaborates with other ethnic artists, trains dancers, designs costumes, and presents full programs of music, song and dance in Caribbean, Samba, Spanish, Middle Eastern, Polynesian, and 1920's theme shows. She also promotes Asian, Russian, and African dance and music. Any of her themes can fill a typical 3 hour event of cocktail music, floor show and dance music. Tahja has the unique ability to make any party lively and engaging. She wants her client's vision brought to fruition, with great attention to detail. She follows her own rule of ABCs in production, that each show must be: Authentic, Beautiful, Contrasting, Dramatic, Entertaining, and Fun. As musical director for YaSalaam she choreographs traditional Zaffas for weddings, and can play on the oud hours of traditional Middle Eastern and belly dance favorites either solo or be joined by her band YaSalaam. Her entertaining and engaging style, as well as her deep understanding of the culture makes Tahja a highly sought after entertainer, educator and public speaker. Whether in music, acting, song, or dance, in Tahja’s unique performances there is a mysterious magic that transports audiences to distant lands in an enchanting and magical journey. She also is a Marilyn Monroe impersonator, and highly sought after Fortune Teller.